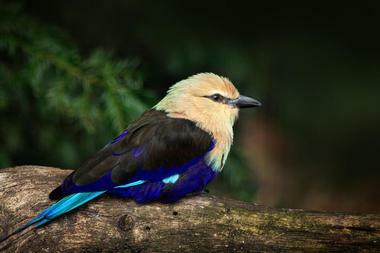 Visit the Tallahassee Museum of History and Natural Science, take a step back in time at the historic Goodwood Museum and Gardens, and listen to live music at the Bradfordville Blues Club. If you are looking for outdoor activities, stroll through the manicure gardens at Alfred B. Maclay Gardens State Park, see unique wildlife at St. Marks National Wildlife Refuge and play a round of golf at the Southwood Golf Club. Best Things to Do in Tallahassee, FL with kids include the Challenger Learning Center and the Tallahassee Automobile Museum. Located on Museum Drive, the Tallahassee Museum of History and Natural Science is one of the top Tallahassee attractions that consists of an environmental science center, several historic buildings, and a natural habitat zoo. The museum’s goal is to educate people about the cultural and natural history of the Beg Bend area in which the city of Tallahassee is situated. There are several exhibits, and one of the most popular is Big Ben Farm. This exhibit shows visitors what rural life was like in northern Florida in the 1800s; visitors see farm buildings with animals, houses, gardens, and a gristmill. Wildlife Florida allows visitors to see many animals like bears, bobcats, and deer, as well as the endangered Florida panther and red wolves. The museum also has Animal Encounters, a program in which staff members show and teach children about one of the museum’s animals. More Florida destinations: 20 Best Things To Do in Miami This Weekend. Located on Thomasville Road, Alfred B. Maclay Gardens State Park is a botanical garden and a historic site as well as a Florida State Park. Consisting of 1,176 acres, the gardens are a U.S. 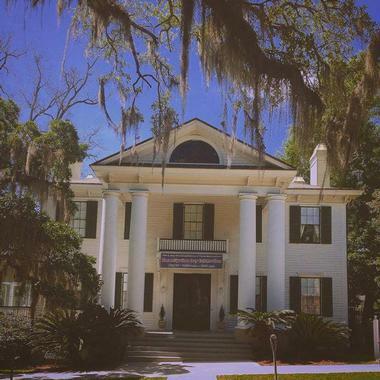 Historic District called the Killearn Plantation Archeological and Historic District. The area contains 18 historic buildings and four other structures, of interest. 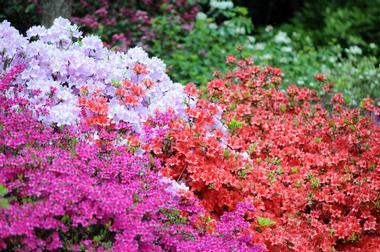 Established in 1823, the park is famous for its azaleas and camellias, but it is also known for its substantial number of trees like cypresses, dogwoods, Japanese maples, and many more. The Native Plant Arboretum, on the other hand, showcases Eastern red columbine, English dogwood, Florida flame azaleas, and more. Bird watching, bicycling, canoeing, fishing, and hiking are some of the popular activities in which you can partake in the gardens. If you are looking for romantic things to do in Tallahassee, Florida, this is a great place to visit. More Florida destinations: 25 Best Things to Do in Key West, Florida. 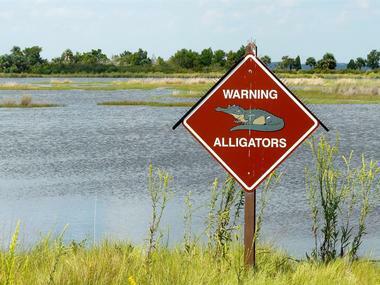 Established in 1931, St. Marks National Wildlife Refuge is one of the oldest wildlife refuges in the nation and one of the best things to do in Tallahassee FL. Its 68,000 acres consist of a variety of coastal environments typical of the Gulf of Mexico, including estuaries, islands, marshes, and tidal creeks. There are several interesting structures in the refuge like St. Marks Lighthouse, the second oldest lighthouse in Florida. The refuge serves as a wintering area for many migratory birds, and it is the home of many animals like alligators, black bears, bobcats, coyotes, and many more. The refuge is also a popular place for fishing, and there is even a boat ramp close to the lighthouse. There are also many trails for hikers and cyclists, and photographers and painters frequently come to capture the beauty of the refuge. 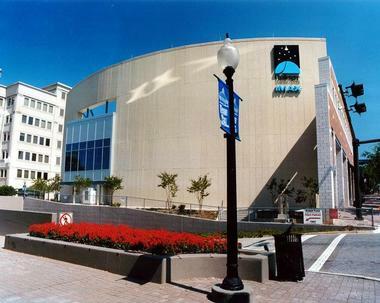 Located on South Duval Street, the Challenger Learning Center is the K-12 outreach program of the Florida A&M University - Florida State University College Engineering. 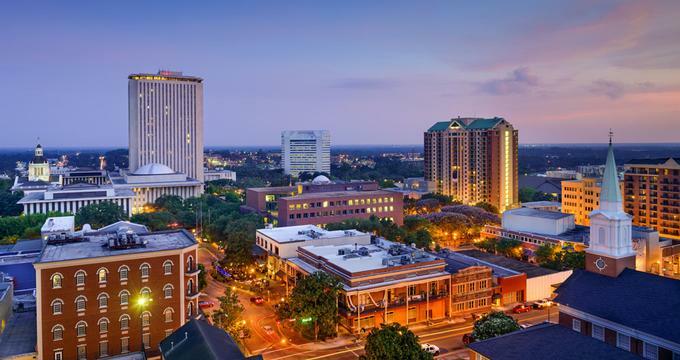 The 32,000 square-foot center focuses on promoting interest in STEM (Science, Technology, Engineering, and Mathematics) and is a fun thing to do in Tallahassee, Florida. The center has an IMAX 3D Theater, a Space Mission Simulator, and the Downtown Digital Dome Theatre & Planetarium. There are many hands-on exhibits and programs for children including camps, kids’ free day, scouting merit badges, free “Sky Guy” Planetarium shows, and the Saturday Public Mission, where children have an opportunity to be part of a NASA space mission using the center’s Space Mission Simulator. 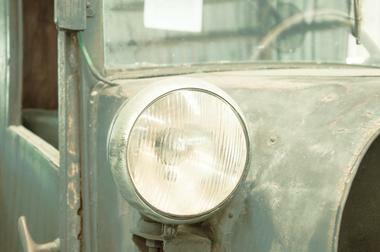 The Tallahassee Automobile Museum is a car-themed museum located on Mahan Drive. Opened in 1996, the museum showcases collections that consist of donated items. The museum moved into its newest facility in 2007. The main building contains 100,000 square feet and exhibits mostly American-made cars as well as items that represent and celebrate American culture. The collection includes more than 140 automobiles, the funeral hearse of Abraham Lincoln, and three Batmobiles. Other items of interest include the museum’s collection of Case knives, an antique cash register, several unique North American artifacts, and many more. The museum has several banquet rooms that can be rented for corporate meetings and private functions like parties. Located on West Tennessee Street, Mission San Luis de Apalachee is a historic site located west of downtown Tallahassee. Built in 1633, it was a Spanish Franciscan mission in the settlement of the Anhaica capital of the Apalachee Province. The buildings were destroyed, but several have been reconstructed, including the church, the convent, a typical Spanish house, the fort, the blockhouse, and a few others. The mission was designated as a U.S. National Landmark in 1960. 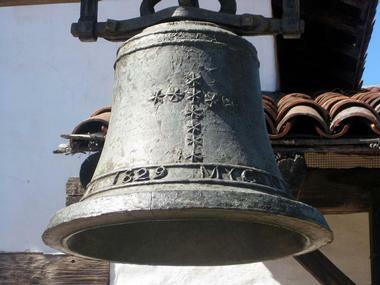 Guests can visit buildings, look at 300-year-old artifacts, and discover what past life was like in the mission. More weekend & day trips: 50 Best Florida Weekend Getaways . 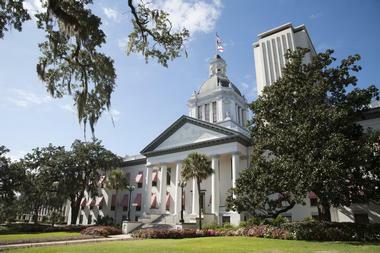 Located on South Monroe Street, the Florida Historic Capitol Museum emphasizes political artifacts, interactive exhibits, and photographs. The museum is housed in the iconic 1845 Historic Capital Building that was restored to its 1902 appearance between 1978 and 1982. When the new capitol was built, the Historic Capitol was slated for destruction but the citizens worked together to save it. Restored parts of the building include the Governor’s office, The House of Representative, and the Supreme Court. Visitors of the museum learn about the events and individuals who helped to shape Florida. In addition to exhibits, there are audiovisual displays, interactive multimedia, and recordings. There are more than 250 artifacts housed in the 21 rooms of the museum. The Goodwood Museum & Gardens is an exciting destination that features a grand 1830s plantation house sitting on 16 acres of landscaped lawns and gardens with old majestic oaks and outbuildings. One of the best examples of antebellum architecture, the plantation house contains its original art, glass, furniture, porcelain, textiles, and more. The plantation house is also known for its early fresco ceilings, an especially beautiful feature of the house. The rooms are decorated to show visitors what the house would have looked like around the time of World War I. Guided tours are offered Tuesday to Saturday. Various parts of the museum and gardens can be rented for special events, including the Carriage House Conference Center, the Jubilee Cottage, and the Laundry Cottage. Located just north of downtown Tallahassee, the Lake Ella and Fred Drake Park is a free attraction that consists of 12-acre Lake Ella and 6.5-acre Fred Drake Park. In the past, it was used for cattle, but today it contains three fountains, picnic shelters, a paved walking trail that encircles the lake, and a site for community events like astronomy and exercise. Visitors can enjoy the trail by taking part in activities such as walking, roller-skating, or skateboarding. Wildlife such as ducks, geese, pigeons, and turtles live at the tranquil lake. The old cottages dating from 1925 were originally used for honeymoon rooms, but local business owners have since opened shops and cafes there. 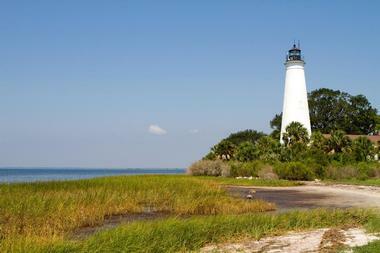 St. Marks Lighthouse is located in St. Marks National Wildlife Refuge. Built in 1831, St. Marks Lighthouse is the second oldest lighthouse in Florida and is listed on the U.S. National Register of Historic Places. In the years following its construction, the lighthouse has been threatened by wars and natural disasters. During the Second Seminole Indian War in 1835, the keeper of the lighthouse asked for troops and a boat, but fortunately, the Seminoles did not attack the lighthouse. In 1842, the lighthouse relocated due to problems with erosion. It survived numerous storms including some very destructive hurricanes. The lighthouse also came under threat during the Civil War, but fortunately, it survived. 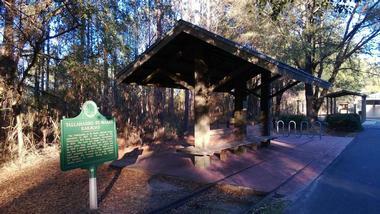 The Tallahassee-St. Marks Historic Railroad State Trail is Florida’s first state rail-trail, and it follows the abandoned railway that led from Tallahassee to St. Marks. The trail is 16 miles long and begins at Capital Circle Southeast and ends at the coastal city of St. Marks. The railroad operated from 1836 to 1983, longer than any other railroad in Florida. The scenic trail is paved, and bicyclists, runners, inline skaters, and walkers frequently take advantage of its picturesque views. Visitors can hike or cycle up the Munson Hills Trail, and children can enjoy themselves at the Felburn Foundation Boundless Playground. At the end of the trail, you can find several restaurants and shops. 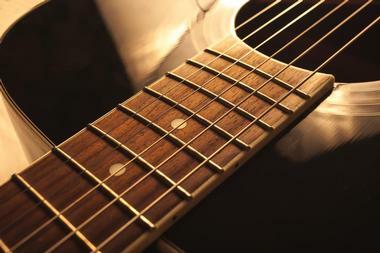 Located on Moses Lane, the Bradfordville Blues Club is a venue for performances by leading Blues musicians. It is a one-room cinder block building set in a landscape of cornfields and old oak trees with Spanish moss in a rural part of Tallahassee. If you are looking for romantic date night ideas, this is a great place to visit. The interior is decorated with portraits of famous Blues musicians. Interestingly, some of these portraits hang on the walls, while others are used as tabletops. The club is open on Friday and Saturday nights and hosts a different act every weekend. Outside, the club a welcoming bonfire burns under the oak trees. During breaks between the performances, guests enjoy the cozy atmosphere this bonfire provides. George Proctor built the Knott House Museum in 1834 on East Park Avenue. The house temporarily served as Union headquarters in 1865, and it was on the front steps of the Knott House that Abraham Lincoln read the famous Emancipation Proclamation. After, the historic house served as the home of several families like William Knott and his wife, Luella, before it was given to the Historic Tallahassee Preservation Board. The museum was opened to the public in 1992 after an extensive restoration to show what the house looked like in 1928. In 1997, the Museum of Florida History began to administer the museum. Guided tours are given from Wednesday to Saturday. Located on Grove Park Drive, the Southwood Golf Club is one of the best golf courses in Florida. Fred Couples and Gene Bates designed the course, and the St. Joe Company created it. 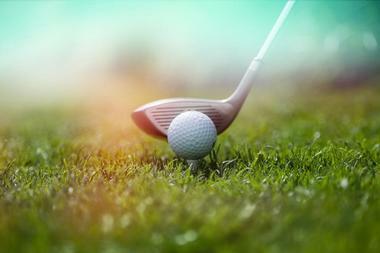 Southwood is a public golf course set in pastureland with rolling hills and oak trees covered in Spanish moss. The Golf Club accepts public reservations and group reservations for teatime. The Southwood Clubhouse hosts special events like corporate meetings and private functions like holiday dinners. The Southwood Room in the Clubhouse is used for smaller more intimate functions. 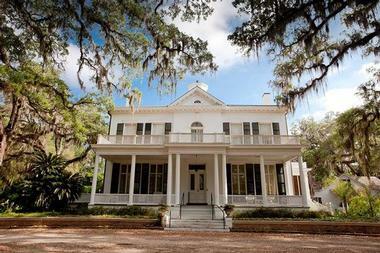 Built in 1865, the recently restored SouthWood House sits among flowering trees and oaks. It can be rented for weddings, corporate parties, and holiday gatherings. The Lake Jackson Mounds Archaeological State Park is located in northern Tallahassee on the south shore of Lake Jackson. One of the most important archaeological sites in Florida, the Lake Jackson Mounds were the center of the Fort Walton Culture, which thrived between 1050 and 1500 AD. The area includes four earthwork mounds, many village residences, and a public plaza. Only two of the four mounds are open to the public. Listed on the U.S. National Register of Historic Places, the area has been managed by the Florida State Park system since 1966. There are two trails, which pass by a plantation, a gristmill from the 1800s, and landscapes with native plants and trees. The Lake Talquin State Forest is a 17,491-acre state forest located on Geddie Road near Tallahassee. 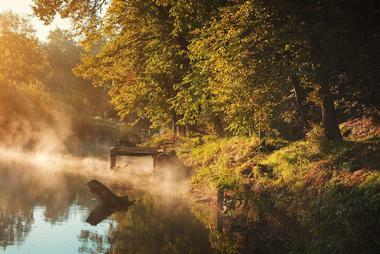 If you are looking for romantic things to do outdoors, be sure to visit this magical place during your travels. 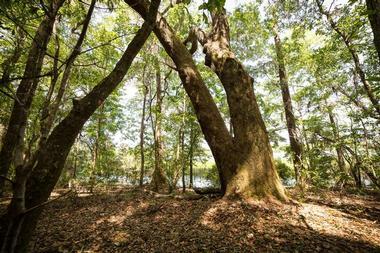 The forest is made up of ten tracts of land, most of which lie along the Ochlockonee river and Lake Talquin. Florida Forest Service has managed Lake Talquin State Forest since 1977. 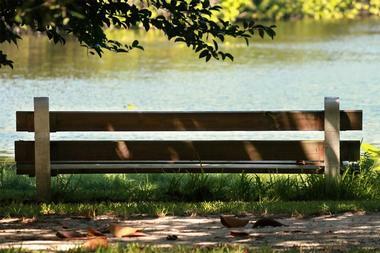 It is a multi-use park that shares recreation with environment and resource needs. The focus is on the balance of outdoor recreation and habitat restoration and reforestation. The forest consists of many kinds of trees like hickory, maple, and oak, and animals such as bobcat, deer, and turkey. Some of the activities include bicycling, camping, hiking, horseback riding, picnicking, and much more. More Florida getaways: 25 Best Things to Do in St. Augustine, Florida.